Guru Nut is a diet pill ingredient sourced from the seed of a plant called cola nut. This is a plant indigenous to West Africa in countries such as Nigeria, where it is used broadly in traditional medicine, culture, hospitality and even social ceremonies. Though it is commonly called guru nut, this ingredient may also be found on diet pill labels under several other possible names. 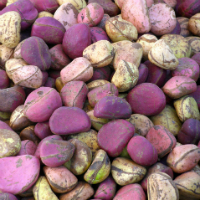 These include – but aren’t limited to – bissy nut, cola nitida, kola nut, cola nut, noix de kola, Soudan nut, Soudan coffee, sterculia acuminate, sterculia nitida and gworo. Guru nut is often used for the short term relief of chronic fatigue syndrome (CFS), depression, fatigue, atony, melancholy, dysentery, exhaustion, atonic diarrhea, migraine headaches, and weight loss. That said, it is also used as a flavoring ingredient in foods and beverages when it is not being used medicinally. The main active ingredient in guru nut is caffeine. Caffeine is a stimulant that impacts the central nervous system (CNS), which includes the brain and nerves. It also affects the muscles and the heart. When it comes to research, there has been a very limited amount conducted on guru nut as a diet pill ingredient. Some very preliminary research – which was sponsored by the manufacturer of a product that contains the ingredient – indicates that when guru nut is used with willow bark and ephedra for up to six months, it may help to boost weight loss modestly among people with obesity. However, there are many flaws associated with that study. For one thing, it was funded by a company that uses that ingredient in its product. 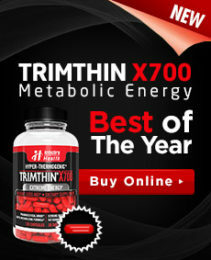 For another thing, it calls to mind serious safety concerns because the combination includes ephedra. Ephedra is banned in the United States and several other countries due to severe adverse effects it has caused, including several deaths. Guru nut itself is considered to be likely safe when taken in the amounts used as a flavoring agent for foods. That said, it is also possibly safe when taken orally in medicinal amounts over the short term. That said it is associated with the same type of potential side effects as any other substance that contains caffeine. Taken in large amounts or over a longer term, guru nut is considered to be possibly unsafe. Moreover, chewing cola nut is linked with a heightened risk of gastrointestinal and mouth cancers. Large amounts of this ingredient are linked with more powerful side effects.